You'll find endless uses for these attractive Basket Displays that Hold 4 One Peck Baskets. 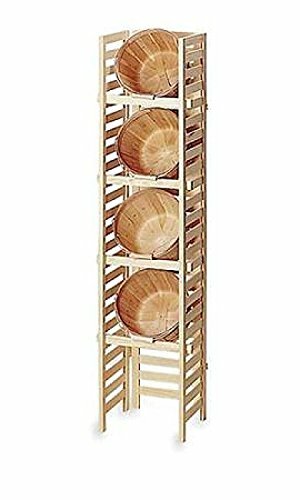 Basket Displays are made with a natural pine finish and consists of one 3-Panel display, 4 one peck baskets, and 4 support rods. They are easy to set up, move, and store. Create a unique storage for towels, toys, kitchen items, the peck baskets are perfect to create a natural display. If you have any questions about this product by SSW, contact us by completing and submitting the form below. If you are looking for a specif part number, please include it with your message.